The BR 40/25 Bp is a compact and easy to operate, battery-powered scrubber dryer with roller brushes or pads. The tank-in-tank system for the fresh and waste water enhances the machine stability and reduces the dimensions of the unit. Maintenance and service friendly, all components are easily accessible and can be replaced in seconds. 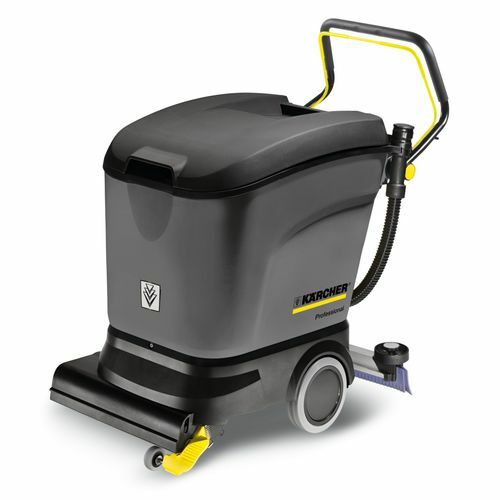 Ideal for use on all hard floor surfaces it is perfect for routine cleaning, maintenance cleaning and polishing. A single knob controls all machine functions (EASY) making the machine very simple to use.